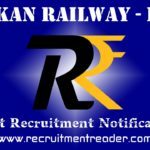 Latest RRB Exam Admit Card 2019 Update – Railway Recruitment Board (RRB) is going to release first stage CBT E-Call Letter for Junior Engineer (JE), Junior Engineer (Information Technology), Depot Material Superintendent (DMS) and Chemical & Metallurgical Assistant (CMA). Candidates who have registered for JE, JE (IT), DMS & CMA Exam 2019 can download their admit cards for 1st stage CBT. 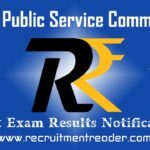 RRB announced exam dates for first stage CBT. As per the announcement, the exam will be held in April/ May. Soon RRB will release the 1st stage CBT of Junior Engineer Exam. Candidates are requested to check their zonal RRB website to download admit card. Previously, RRB released Junior Engineer exam notification and received online applications from candidates. As per the notification, 1st CBT is one of the recruitment process and also it is a preliminary examination. Keep check this page for upcoming RRB Notifications. Call Letter is like an entry pass for the examination. Without call letter, candidates will not be allowed to attend the examination. Call letters may have information like registration details, identification details, exam date, exam venue and important instructions to candidates. In addition to call letter, carry necessary photo id proof in original as well as photo copy. Logon to their zonal RRB website. Find notification for JE, JE (IT), DMS & CMA Notification. Find Admit Card link for the examination. Click the link and login with user credentials. Find your call letter and then download it to take printout. Find upcoming RRB exam admit card notifications @ Recruitment Reader. For more details regarding RRB Exam Admit Card 2019 logon to RRB websites. Railway Recruitment Board (RRB) has released 2nd stage CBT E-Call Letter for candidates those who couldn’t start/complete exam held before. RRB announced exam date for the re-schedule of 2nd Stage CBT. As per the announcement, the exam will be conducted on 08.02.2019. Exam will be conducted in two parts, Part ‘A’ & Part ‘B’. Details of Part ‘A’ & ‘B’ are given below. Duration 90 Minutes (120 Minutes for PWD candidates). 100 Questions (25 question from Mathematics, 25 questions from General Intelligence & Reasoning, 40 questions for Basic Science & Engineering and 10 questions from General Awareness & Current Affairs). Duration 60 Minutes (80 Minutes for PWD Candidates). 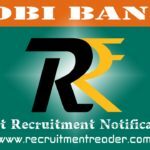 For more details regarding RRB Exam Admit Card 2018 logon to RRB websites. 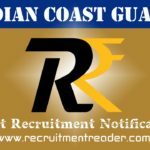 Railway Recruitment Board (RRB) released admit cards for Level 1 (Group ‘D’) posts. Candidates who have registered for Level 1 (Group ‘D’) posts can download their admit cards for Computer based Test (CBT). E-Call Letters can be downloaded from concerned official website of RRBs. Call letters can be downloaded four days prior to the exam date. The computer based test (CBT) will be commenced from September 17, 2018 (17.09.2018). Candidates can also check their exam city and date. RRB also provided mock test link to prepare for the CBT. The Computer Based Test (CBT) comprises 100 questions and duration of 90 Minutes. For PWD candidates, the exam duration is 120 minutes (2 hours). CBT consists of question from four sections of Mathematics, General Intelligence and Reasoning, General Science and General Awareness & Current Affairs. General Intelligence and Reasoning – 30 Questions. General Science – 25 Questions. General awareness and Current Affairs – 20 Questions. 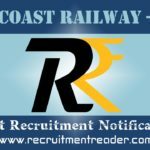 Railway Recruitment Board (RRB) released E-Call Letter for First Stage Computer based test of Assistant Loco Pilot and Technicians posts (26502 Vacancies). RRB announced exam date for ALP & Technician first Stage CBT. As per the announcement, the first stage CBT of ALP & Technicians will be held from 09.08.2018 to 31.08.2018. Candidates can download their e-call letters from four days before the date of examination.Candidates can download their admit cards by the use of their registration details. CBT includes questions from sections of Mathematics (20 Questions), General Intelligence & Reasoning (25 Questions), General Science (20 Questions) and General Awareness & Current Affairs (10 Questions). Candidates can check their exam centre, exam date and exam session before the release of Call Letters. RRB will inform such information on 26.07.2018. Candidates can check these details at RRB websites by login with their registration details.